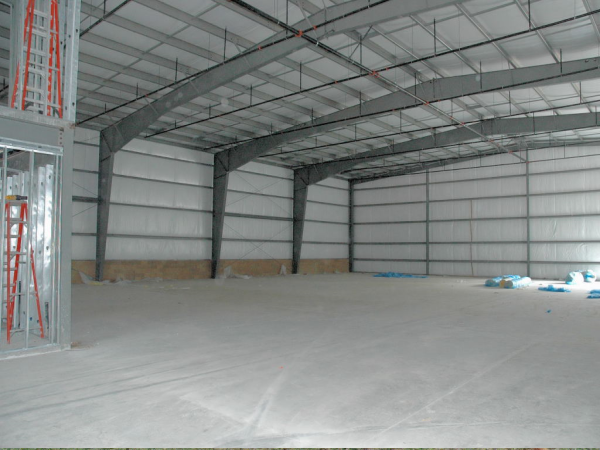 At Duro Buildings, we offer a full line of options and accessories for your new steel building. Our clients have repeatedly told us that the ease of being about to single-source everything they need for their new steel building streamlines the procurement process. Plus, buying your accessories from us ensures 100% compatibility with your new building! ULTRA – DEK PANEL STANDING SEAM ROOF -Ultra-Dek® panels are available in 12-inch, 18-inch and 24-inch widths. Ultra-Dek® requires a minimum slope of ¼:12 and is ideal for industrial, commercial and architectural applications. Ultra-Dek® can be erected on various types of construction. SUPERLOK STANDING SEAM ROOF - SuperLok® is available in both 12 inch and 16 inch widths. SuperLok® has been designed to withstand the most rigorous weather conditions. SuperLok® can be installed directly over purlins or bar joists. SuperLok® does not require a solid substructure for support. PBR PANEL SPECS - The PBR panel is commonly used for a wide variety of architectural, agricultural, commercial and industrial applications. PBR is a structural panel and an exposed fastener panel that can be used for both roof and wall applications. The minimum roof slope for PBR is ½:12.